2012 was a great year for music. During the year, many great albums were released. Because of this, it made the job of choosing what would appear on my Best Of list that much more difficult than usual. The ten albums included in this year's list include two releases not reviewed on the Rock And Roll Report. And while Poema from Romina Di Gasbarra and Everywhere All the Time from Jackopierce did not get reviewed here, I had to include them in my year end list because of how strong they were. Please check out these great albums. 1. 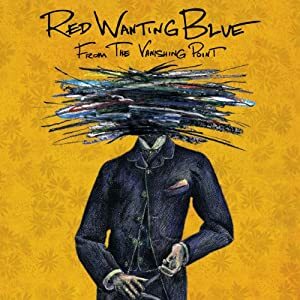 Red Wanting Blue “From the Vanishing Point” The success of These Magnificent Miles led to Fanatic Records releasing Red Wanting Blue’s 2012 release, From the Vanishing Point. From the Vanishing Point seems to pick up right where These Magnificent Miles left off. The new album has the same sound and feel as the previous release, thanks in no small part to producer Jamie Candiloro. With Candiloro, the band solidified their sound on their last release and that sound returns for a second album that should take the band even further than the last album did. From the Vanishing Point should make fans of Red Wanting Blue very happy. And with the amount of coverage, including a spot on Late Show with David Letterman, the band is finally creating the following they’ve always wanted. CLICK HERE FOR COMPLETE REVIEW. 2. Broken Poets S/T Over the years, singer-songwriter Tim McDonald has taken his band, Broken Poets, in several directions to create different projects and sounds in the music produced. Currently, the project being worked on by McDonald is a multi-dimensional project that will associate several different media sources to create a very intense personal experience. While the book part of the project is still ongoing, the self-titled EP from Broken Poets that will be part of the yet-to-be completed project is now available for purchase as a download. While the four-song self-titled release from the Broken Poets is relatively short, there is much to enjoy: The lyrics are very personal, the music is beautiful and the musical relationship between singer/guitarist Tim McDonald and pianist Svetlana Antropova creates a feeling that will leave you with as much joy as if you had just listened to something a lot heavier. CLICK HERE FOR COMPLETE REVIEW. 3. The Muggs “Born Ugly” To find an album of music so strong and enjoyable that you just need to put it on and let it play out from the first track to the last without the need to skip tracks is always a dream for music lovers. But a lot of the time, you inevitably find one or two tracks that don’t really live up to the rest of the release and you pass over those tracks to get to the better ones. So when you find that “perfect” album of music by a band or musician that is strong from beginning to end, you tend to cherish it more than other releases. 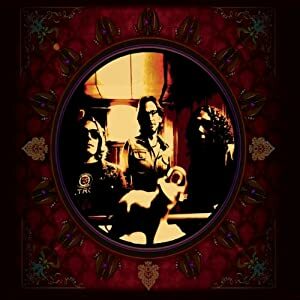 Born Ugly by The Muggs is one such release that will rise to the top of your music collection because of the strength within each and every one of the 13 songs that make up the 2011 rock release. Born Ugly, the 2011 release from The Muggs, is a music lover’s dream- a solid album that not only invites, but ultimately DEMANDS, you to listen from beginning to end. The 13 tracks on the release feature strong songs that prove each member of the band to be gifted writers as well as talented musicians. The “classic rock” sound created by the band will definitely satisfy anyone’s need for “good” rock and roll, as the band stays true to the sounds that were created by those classic bands that came before them while also taking the music in its own specific musical direction. CLICK HERE FOR COMPLETE REVIEW. 4. Jesse Terry “Empty Seat on a Plane” Take a little bit of Jackson Browne, James Taylor and Paul Simon and you get some idea of what singer-songwriter Jesse Terry sounds like. The folk/pop music that Jesse Terry creates feels right at home when played alongside the music of any of the aforementioned musicians. 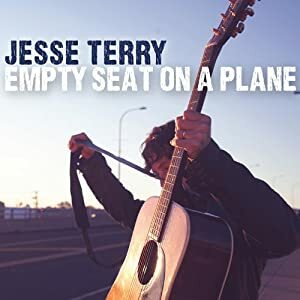 After garnering some well-deserved attention for his music including winning the Grand Prize for the John Lennon Songwriting Contest, Jesse Terry has taken more of his music and created his newest album entitled Empty Seat on a Plane. The new release from Jesse Terry stays within a folk/rock sound throughout the twelve tracks that make up the album. Each song on the album has a certain beauty to it and shows off the writing ability Terry as the songs for this album have been arranged with simplicity that will many will find appealing. From the first song to the last,Empty Seat on a Plane will finally give Jesse Terry the album needed to make him a household name. CLICK HERE FOR COMPLETE REVIEW. 5. Cotton Mather “Kontiki Limited Edition” It was in 1997 that Cotton Mather released a classic pop/rock album entitled Kontiki; however, this album was all but ignored by the music industry here in the U.S. To celebrate the 15thAnniversary of Kontiki, Robert Harrison and Cotton Mather have released a 2-CD set of the album. Of course, the first CD of the Kontiki Deluxe Edition contains the original Kontiki album in all its glory as it has been released back in 1997. Every one of the 14 tracks has been re-released in this package to hopefully find the audience they so rightfully deserve. 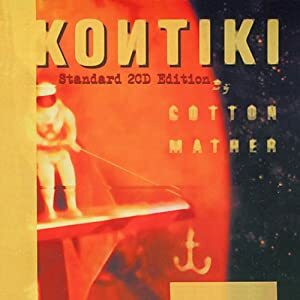 The Kontiki release from Cotton Mather has the chance to gain the band some well-deserved and overdue exposure. The 26 tracks that make up the 2-CD re-release of Kontiki take the listener on a musical trip with a band that fell through the cracks of the music industry in the 90s along with other talented groups that should have had more of a chance than they got. At least with the Kontiki release from Cotton Mather, you get to experience what you may not have 15 years ago. Take this chance and enjoy this band who had a lasting influence on bands in England and find out what you and the rest of the U.S. missed out on the first time ‘round. CLICK HERE FOR COMPLETE REVIEW. 6. The 71's “We Are the Seventy Ones” The Houston, Texas-based band The 71’s give you songs that bring back the sound and feel of Glam and running through the style of today’s bands like Jet. The 71s have a sound that features a lot of energy and make you wish more bands from today still cared about making “real” rock and roll. Taking the listener through many different feelings in their music, The 71s have created a very solid release with We Are the Seventy Ones.Throughout the twelve tracks that make up the release, the band creates one of the strongest rock releases during 2012. CLICK HERE FOR COMPLETE REVIEW. 7. 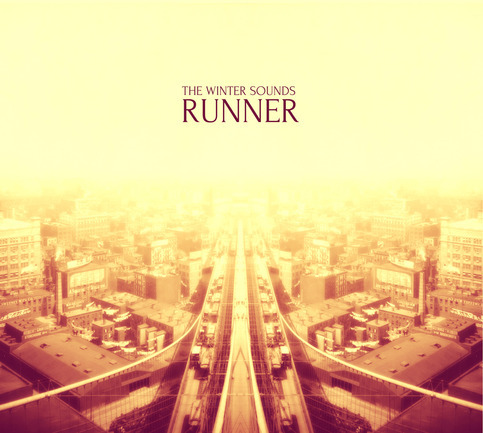 The Winter Sounds “Runner” The name of the newest release from The Winter Sounds is called Runner. It is a deeper New Wave influence now present in the band’s sound that has taken the band’s sound in a more listener-friendly direction. Of the releases that make up the discography for The Winter Sounds, 2012’s Runner seems to find the band at its finest point. Each of the twelve songs that make up the album is well-written and nicely played. And with songs that come from slightly different directions throughout the entire length of the release, it is nicely varied. Runner is easily the best album released by The Winter Sounds to date. CLICK HERE FOR COMPLETE REVIEW. 8. 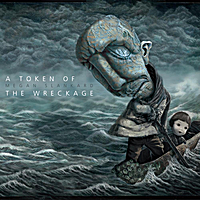 Megan Slankard “A Token of the Wreckage” A Token of the Wreckage, the newest album from Megan Slankard, has many songs that will catch your ear. From the beginning track, the listener gets to enjoy many different sides of Slankard as a writer throughout the dozen tracks that make up the 2011 release. The album will also make you look at the independent music scene and wonder why more artists like Megan Slankard haven’t made it in the music industry yet. CLICK HERE FOR COMPLETE REVIEW. 9 . Romina Di Gasbara “Poema” Canadian songstress Romina Di Gasbarro is very enjoyable to listen to. It is her training in both voice and guitar that makes her music so magical. Like her American counterpart Sarah Brightman, Romina Di Gasbarro spent time in opera before she decided to start recording other things besides operatic music. And like Brightman, Romina has focused on pop music. But unlike Brightman, Romina’s pop music also contains a very large amount of jazz feeling in its sound. You will also find that instead of redoing old“standards,” Romina Di Gasbarro has decided to create her own songs for her albums. Romina Di Gasbarro is currently promoting her 2010 album entitled Poema. This release from one of North America’s most talented artists is well worth the 40+ minutes that make up its running time. 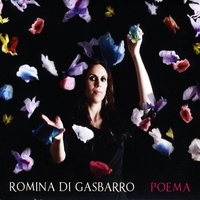 Each of the beautifully written and arranged songs that appear on Romina Di Gasbarro’s 2010 release Poema brings her talent to life. While listening to the album, you get to enjoy, not only Di Gasbarro’s beautiful voice, but her guitar playing as well; proving that Romina Di Gasbarro is more than just a singer with a beautiful voice. While Romina Di Gasbarro is not really rock music, this was one of the strongest releases I heard all year. That is why I am including it on this “Best Of” list. CLICK HERE FOR COMPLETE REVIEW. 10. 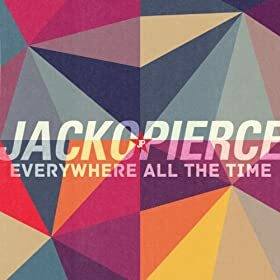 Jackopierce “Everywhere All the Time” From the pop/rock of “Into Me,” the groove found on “Finally Free,” and the soft rock on songs like “Let Go of Me” and “Lonely,” Jackopierce has created a new release that gives the listener many different styles of rock music on the album. For longtime fans of the band, this is a solid release that should make you happy. For those about to discover the music of the band, Everywhere All the Time’s ever-changing musical style will give you many songs that will fit into your music library. There’s a lot of good music on this release no matter what category you fall into. CLICK HERE FOR COMPLETE REVIEW.